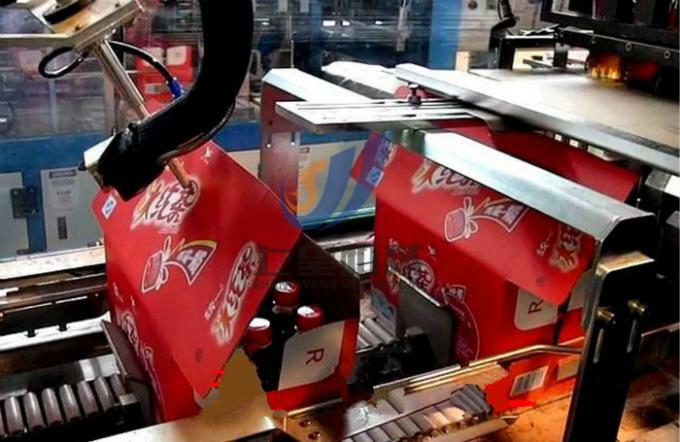 Automatic Case Packer/Box Packer, Robotic Case Packing Machine for Drink Bottles, Robotically Automated Case Packing System for Bottles, Barrels, Pouches, and Boxes, Such as Nail Polish Bottles or Perfume Bottles Pack Box System and so On - Custom Automated Box​ Packaging System Solutions. 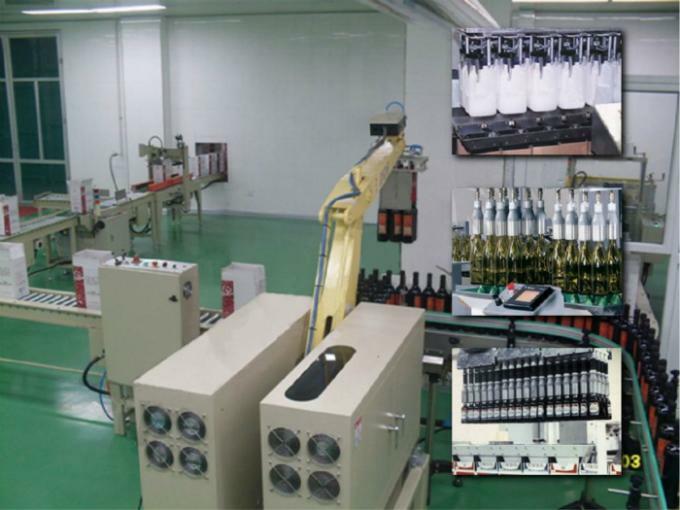 This machine is designed according to the type of bottles used in the production, so the packing system is customized. 1. Adopts side bottle-feeding way, an area is small, simplify the conveying system, reduce the whole line equipment investment cost. 2. 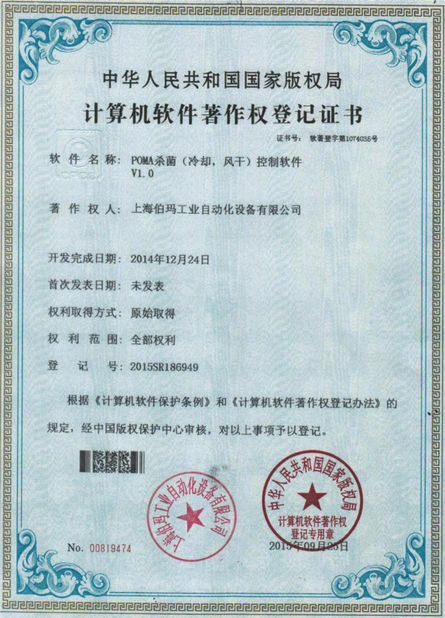 Adopts rocker arm institution, a structure is more advanced and reasonable, an action is more light & stable, consumption is also small. 3. Adopts multi-level decompression bottle-feeding way, avoid bottle-falling phenomenon, assure the bottle-grab align accurately with the product, high instability. 4. Main drive adopts frequency regulation and PLC control technology, combining human-machine interface, realize steeples speed regulation, with rapid communication ability and strong diagnosis function, automaticity is high. 5. Comply with the national safety standards, with a variety of protection functions, alarm timely when there appear faults, can shut down to protect. 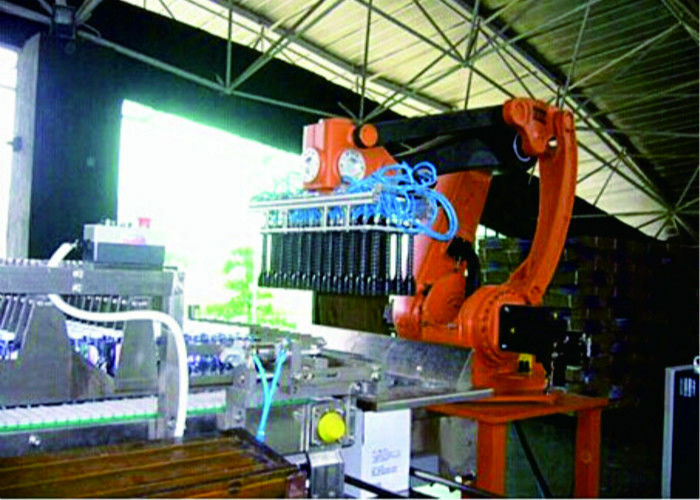 bottle sorting, empty cardboard box input, automatic package loading, full package output, etc. Packing speed: 10-30 boxes per minute. 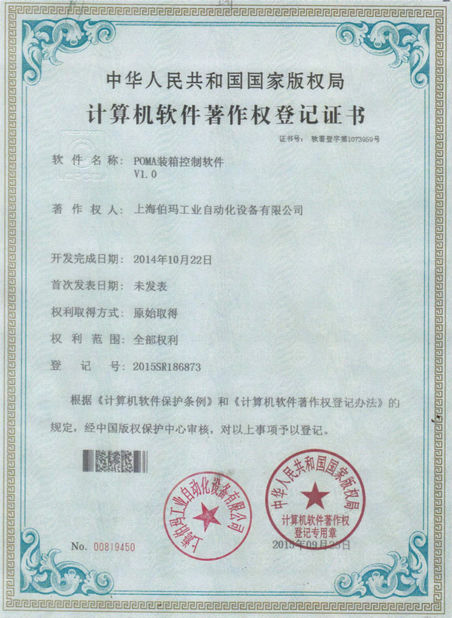 1. the main frame material is of carbon steel or stainless steel. 2. Control system is of PLC and touch screen, etc. Note: We offer free designs and layout drawings, according to the type of goods to produce, production capability and the packaging materials.